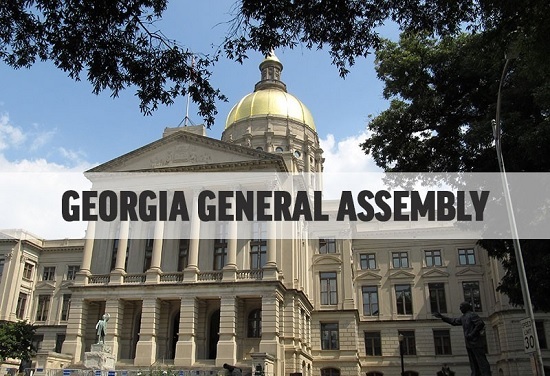 The 2019 meeting of the Georgia General Assembly starts this morning, and with it, our fight to defend and expand the Second Amendment will go into overdrive. We’re at the Capitol this morning, lobbying legislators to support “Constitutional Carry”, as well as broadcasting live on social media giving our members more exclusive access than ever. What can you do right now to help? Take action! >>> Send a pre-written email to your State Representative here! Please note that you can also share this link with your family and friends who care about the Second Amendment, and urge them to send in their emails, too. That’s why I hope you’ll take a moment to sign the petition that we’ve prepared for you below. With Republicans in Arkansas, Tennessee, Pennsylvania, and others all pushing for this in their state capitols — not to mention Republican Senator Marco Rubio sponsoring the bill in D.C. — we are truly going to need all hands on deck to stop it! So won’t you please take a moment and sign your petition, demanding that Georgia lawmakers oppose this legislation right away? This grassroots pressure is how we’ve stopped so many gun control bills over the years, and it’s how we’re going to stop ‘red flag gun seizure’ legislation this year! And if you haven’t yet joined or renewed your membership in Georgia Gun Owners for 2019, please do that right away. So please stand with Georgia Gun Owners and let’s make sure that we continue to gain ground, to ensure that we don’t become the next ‘red state’ to fall!